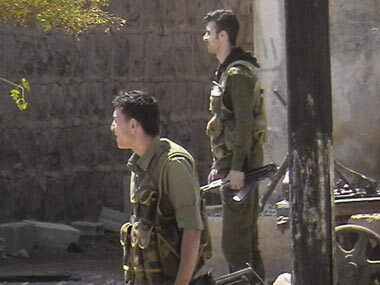 The troops recaptured the towns of Muhin and Hawariyen in the eastern countryside of Homs city, Xinhua reported citing the state-run SANA news agency. It added that the armed groups there had suffered grave losses. State TV quotes an unnamed military official as saying that troops took control Saturday of the 13th-century mosque of Khalid Ibn al-Walid in the heavily disputed northern neighborhood of Khaldiyeh. 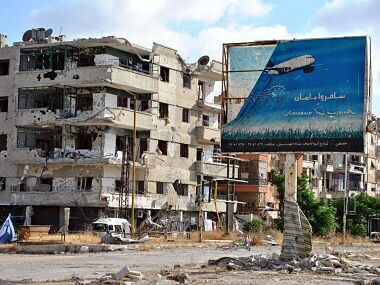 President Bashar Assad's forces have launched a major offensive to retake the strategic city of Homs, a transport hub that sits between the capital, Damascus, and costal areas overwhelmingly loyal to the regime. 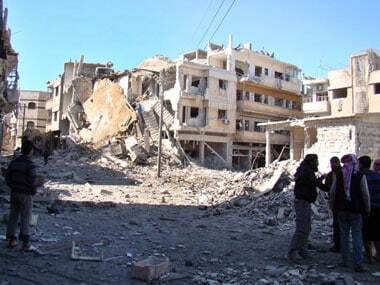 The Syrian state-owned Al-Ikhbariya TV said the Saturday blast in the city's southern al-Nozah neighborhood was a suicide bomb. It reported casualties but did not give a number. 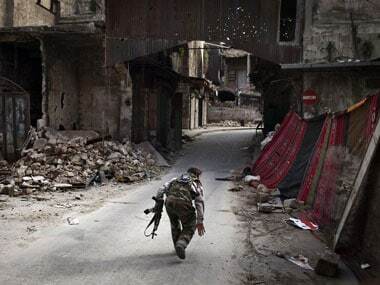 The neighborhood is strategically important for Assad's troops as they try to dislodge opposition fighters from several of the city's central districts that have been under rebel control for more than a year. Syrian Government forces pushed rebels from Baba Amr after two weeks of clashes, shelling and airstrikes that destroyed many homes. 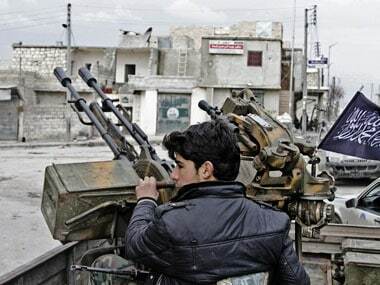 Fighters based in the provinces of Hama and Idlib advanced on Homs this weekend from the north while brigades from rural Homs attacked government positions in the western Baba Amro district. 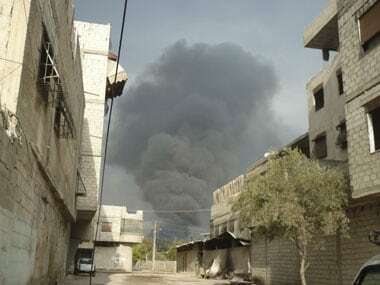 Syrian Observatory for Human Rights said some of the 106 victims were burned in their homes and others were either shot or stabbed. 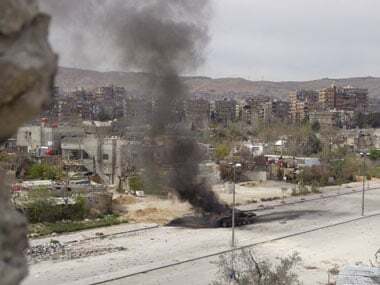 Syrian opposition activists say government forces are pounding rebellious areas in the central province of Homs and that the shelling there has so far killed 38 people. 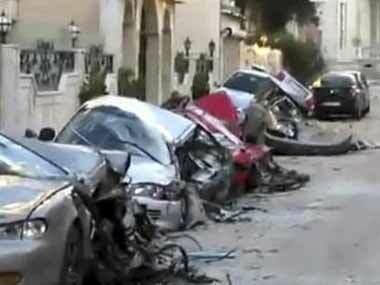 Activists say Syrian troops are shelling restive suburbs of Damascus and rebel-held areas in the central city of Homs.